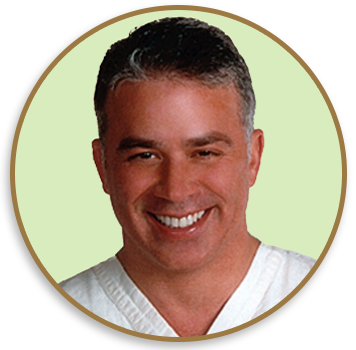 Continuing Education - Henderson, NV | Dr. Minoli John J. Minoli M.D., F.A.C.S. “The Rhinoplasty Society Annual Meeting 2017” (Hilton San Diego Bayfront – ASAPS/ACCME): 27 April 2017: 7 hours (with 1.0 hours of patient safety credit), Category I CME credits. NetCE’s “Post-Traumatic Stress Disorder” (Online: NetCE-Continuing Education – Accredited by ACCME): 31 December 2015: 15.0 hours, Category I AMA/PRA credits. NetCE’s “Ischemic Stroke” (Online: NetCE-Continuing Education – Accredited by ACCME): 31 December 2015: 10.0 hours, Category I AMA/PRA credits. NetCE’s “Medical Marijuana and Other Cannabinoids” (Online: NetCE-Continuing Education – Accredited by ACCME): 31 December 2015: 5.0 hours, Category I AMA/PRA credits. 34th Aesthetic Surgery Symposium – “The Cutting Edge 2014 / Practical Surgical Techniques: Face and Body Sculpting” (The Waldorf Astoria Hotel – New York, New York – ASAPS): 04 December 2014 – 06 December 2014: 22.5 hours (with 2.5 hours of patient safety credit), AMA/PRA Category I CMEcredits. The University of Nevada School of Medicine “OSHA for Healthcare” (The University of Nevada School of Medicine for Nevada State Board of Nursing – Accredited by ACCME): 03 September 2014: 1.5 hours, Category I AMA/PRA credits. 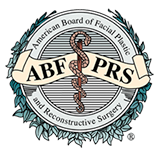 2014 –American Board of Facial Plastic & Reconstructive Surgery’s “Re-Certification Examination (Oral & Written Examinations)” (Arlington, Virginia [15 June 2014]): 100.0 hours, AMA/PRA Category I credits. Re-Certification issued in 2014. “Juvederm Voluma™ XC – Injection Training” (Online Training Sponsored by Allergan): 11 May 2014. 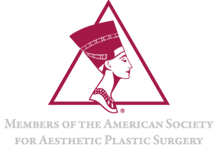 The American Society of Plastic Surgeons® (ASPS®) “2014 ASPS In-Service/Self-Assessment Examination” (Executive office in Arlington Heights, Illinois – ASPS/AMA): March-April, 2014: 30.0 hours (with 4 hours of patient safety credit), Category I CME credits. ASAPS/ASERF/AMA/PRA): 11 April 2013 – 16 April 2013: 48.5 hours (with 13.75 hours of patient safety credit), Category I CME credits. Heights, Illinois – ASPS/AMA): March-April, 2013: 30.0 hours (with 4 hours of patient safety credit), Category I CME credits. Academy; Henderson, Nevada): 20 February 2013: Certified. Service] Academy; Henderson, Nevada): 20 February 2013: Certified. AMA/PRA Category I CME credits. Heights, Illinois – ASPS/AMA): March 2012: 30.0 hours (with 4 hours of patient safety credit), Category I CME credits. hour (with 0.5 hours of patient safety credit), AMA/PRA Category 1 credits. ASAPS/AMA/PRA): 06 May 2011 – 11 May 2011: 23 hours (with 8.0 hours of patient safety credit), Category I CME credits. Heights, Illinois – ASPS/AMA): March 2011: 30.0 hours (with 4 hours of patient safety credit), Category I CME credits. hours of patient safety credit), Category I CME credits. Medic First Aid Training Programs’ “Basic CPR and First Aid for Adults” (Henderson, Nevada): 17 July 2010: Certified. “Cynosure®: Comprehensive Training Workshop – utilizing Cynosure Laser Systems” (Las Vegas, Nevada): 27 August 2009. 03 June 2009 – 07 June 2009: 47.0 hours (with 11 hours of patient safety credit), AMA PRA Category I CME credits. “Cynosure®: Comprehensive Training Workshop – utilizing Cynosure Laser Systems” (The Capital Grille – Las Vegas, NV. ): 30 April 2009. American Heart Association’s “Advanced Cardiovascular Life Support Program” (Henderson, Nevada): 14 March 2009: Certified. “Cynosure®: Comprehensive Training Workshop – utilizing Cynosure Laser Systems” (Wynn Resort – Las Vegas, Nevada): 12 December 2008. Dentistry / ADA CERP): 13 November 2008: 01.0 hours, American Dental Association – Continuing Education Recognition Program. Vegas, Nevada): 28 June 2008 – 29 June 2008: 11.0 hours, AMA PRA Category I CME credits. 2008 – 22 June 2008: 46.5 hours, AMA PRA Category I CME credits. March 2008 – 15 March 2008: 15.75 hours, AMA PRA Category I CME credits. “Cynosure®: Comprehensive Training Program – utilizing Cynosure’s SmartLipo and Laser Lipolysis Systems” (Las Vegas, Nevada): 22 October 2007. The American Society for Aesthetic Plastic Surgery’s “2007 Annual Meeting” (Jacob Javits Center – New York, New York – ASAPS/AMA): 19 April – 24 April 2007: 40.5 hours, Category I CME credits (with 12 hours of patient safety credit). Manhattan Eye, Ear and Throat Hospital’s “Aesthetic Surgery of the Aging Face” (Waldorf-Astoria –New York, New York – MEETH/AMA): 17 November 1999 – 19 November 1999: 24.0 hours, Category I CME credits. Manhattan Eye, Ear and Throat Hospital’s “Fillers, Injectibles and Lasers for Facial Rejuvenation” (Waldorf-Astoria –New York, New York – MEETH/AMA): 16 November 2005: 08.0 hours, Category I CME credits. 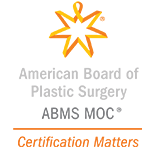 “14th International Symposium on Cosmetic and Laser Surgery” (The International Society of Cosmetic and Laser Surgeons, Inc. – Las Vegas, Nevada): 29 September 2005 – 2 October 2005: 15.5 hours, American Academy of Dermatology Category I CME credits. 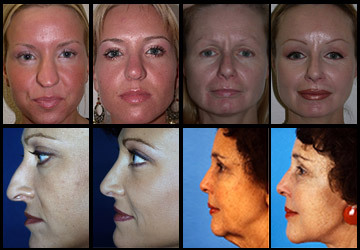 “Facial Cosmetic Surgery 2005: A Multi-Specialty Symposium” (Las Vegas, Nevada – Medical Education Resources, Inc.): 15 June 2005 – 19 June 2005:37.0 hours, Category I CME credits. Southern Nevada Area Health Education Center’s “Weapons of Mass Destruction: The Health Care Professional’s Role in Nevada’s Preparation and Response” (Las Vegas, Nevada): 13 June 2005: 04.0 hours, Category I CME credits. Multi-Specialty Foundation for Facial Aesthetic Excellence: Facial Cosmetic Surgery’s “2004 – A Multi-Specialty Symposium” (Las Vegas, Nevada – MSF for FASE): 21 June 2004 – 23 June 2004: 29.0 hours, Category I CME credits. The American Society for Aesthetic Plastic Surgery’s “Rejuvenation Medicine: Take Charge of Aging Symposium” (New York, New York – PSEF / ASAPS): 21 May 2004 – 23 May 2004: 21.5 hours, Category I CME credits. The University of Texas Southwestern’s “Innovations in Facial Contouring: The Role of Revolutionary New Fillers and Botulinum Toxin Type A” (The University of Texas Southwestern Medical Center – Dallas, Texas): 27 March 2004: 06.0 hours, Category I CME credits. “Medical Ethics: Crisis Management in Obstructive Sleep Apnea” (Sunrise Hospital and Medical Center – Las Vegas, Nevada): 03 March 2004: 02.0 hours, Category I CME credits. The American Society for Aesthetic Plastic Surgery’s “2003 Annual Meeting – Revolutions in Cosmetic Surgery: Blending Beauty And Technology” (Boston, Massachusetts – ASAPS/AMA): 15 May 2003 – 21 May 2003: 41.0 hours, Category I CME credits. American Society of Plastic Surgeons’ “CME Self-Assessment Examination” (111-1A Issue of the Journal of Plastic and Reconstructive Surgery): 07 April 2003: 01.0 hours, Category I CME credits. Cedars-Sinai Medical Center’s “Physician Order Entry Training” (PCX / Online Training and Test Verification): 13 August 2002: 03.0 hours, Category I CME credits. 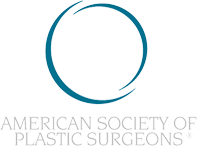 The American Society for Aesthetic Plastic Surgery’s “2002 Annual Meeting – The Pursuit of Excellence and Precision in Cosmetic Surgery” (Las Vegas, Nevada – ASAPS/AMA): 27 April 2002 – 03 May 2002: 27.5 hours, Category I CME credits. Plastic Surgery Educational Foundation’s “2002 ASPS In-Service Examination” (Executive office in Arlington Heights, Illinois – ASPS/AMA): March 2002:30.0 hours, Category I CME credits. “Safety and Health in the Workplace” (Las Vegas, Nevada – Compliance Alliance, LLC): 10 January 2002: 02.0 hours, Continuing Education Course. American Heart Association’s “Basic Life Support / CPR / AED Program and Advanced Cardiovascular Life Support Program” (Western Region – San Bernardino, California): 07 September 2001: Certified. “8th Annual Southwestern Plastic Surgery Alumni Association Meeting and Surgical Symposium at UT Southwestern Medical Center at Dallas” (Dallas – UT Southwestern Medical Center/AMA): 21 June 2001 – 23 June 2001: 12.5 hours, Category I CME credits. 03 May 2001 – 09 May 2001: 29.0 hours, Category I CME credits. 21 April 2001: 06.0 hours, Category I CME credits. 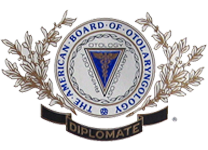 2000 –American Board of Plastic Surgery’s “Oral Board Examination” (Houston, Texas [07 – 09 September 2000]): Board Certification conferred on 09 September 2000: 25.0 hours, Continuing Education: Certified. Stanford University’s “Plastic Surgery Review Course” (Palo Alto, California): 14 August 2000 – 18 August 2000: 42.5 hours, Continuing Education Course. New York – MEETH/AMA): 17 November 1999 – 20 November 1999: 28.0 hours, Category I CME credits. New Mexico – ASPS/ACCME): 28 August 1999: 03.0 hours, Category I CME credits. Mexico – ASPS/ACCME): 26 August 1999 – 28 August 1999: 17.0 hours, Category I CME credits. MEETH/AMA): 09 November 1998 – 13 November 1998: 39.0 hours, Category I CME credits. 31.0 hours, Category I CME credits. 05 February 1998 – 07 February 1998: 22.0 hours, Category I CME credits. November 1997 – 22 November 1997: 21.0 hours, Category I CME credits. November 1997: 03.0 hours, Category I CME credits. 26 October 1997: 30.0 hours, Category I CME credits. DMEF’s “New Challenges in Antibiotic Therapy” (New York, New York – DMEF/AMA): 18 September 1997: 1.0 hour, Category I CME credits. 1997: 03.0 hours, Category I CME credits. 24 August 1996: 17.0 hours, Category I CME credits. American Heart Association’s “Basic Cardiac Life Support” (Dallas, Texas): 09 July 1996: Certified. 1996: 15.0 hours, Category I CME credits. 02 March 1996 – 04 March 1996: 14.0 hours, Category I CME credits. December 1995: 12.0 hours, Category I CME credits. Quebec, Canada – ASPS/PSEF/ASMS): 07 October 1995 – 11 October 1995: ~30.0+ hours, Category I CME credits. 1995: 06.0 hours, Category I CME credits. 1995 – 12 August 1995: 25.0 hours, Category I CME credits. May 1995 – 07 May 1995: 15.0 hours, Category I CME credits. 1995 – 12 March 1995: 11.0 hours, Category I CME credits. Certification conferred on 31 March 1993: 25.0 hours, Continuing Education: Certified. Course” (New York, New York): 06 November 1992 – 07 November 1992: 16.0 hours, Continuing Education: Certified. January 1991: 07.5 hours, Category I CME credit toward AMA’s Physician Recognition Award. Phoenix, Arizona): 06 November 1990 – 11 November 1990: 30.0 hours, Category I CME credit toward AMA’s Physician Recognition Award. August 1990: 36.0 hours, Category I CME credit toward AMA’s Physician Recognition Award. 1990: 16.0 hours, Category I CME credit toward AMA’s Physician Recognition Award. (Dallas, Texas): 29 January 1989 – 05 February 1989: 46.0 hours, Category I CME credit toward AMA’s Physician Recognition Award.